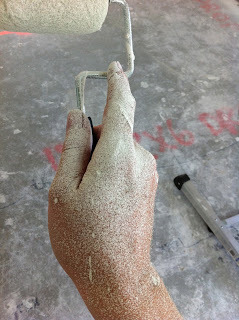 "15 samples of paint" later | . stephrything . Three trips to the paint desk at Home Depot over two days. 15 samples of paint total. 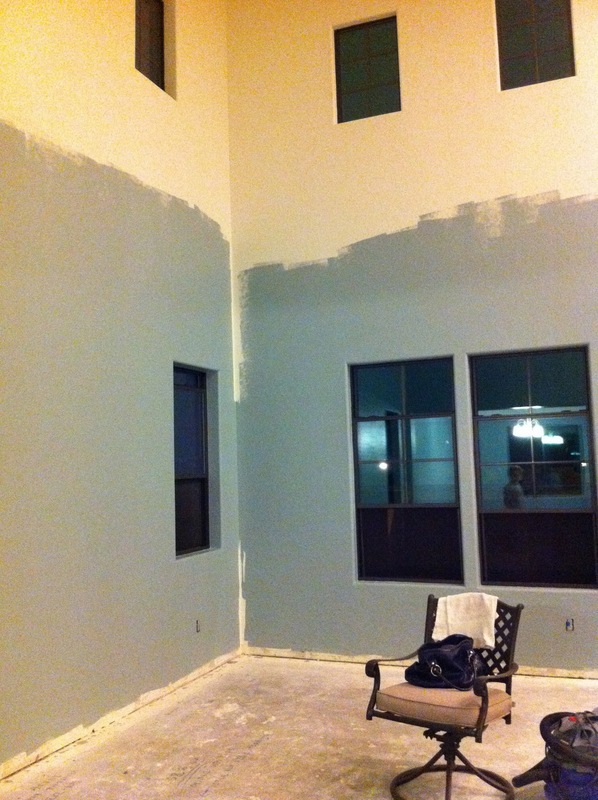 I guess you can tell we give paint color careful thought. Colors look different on the swatch, in the store, on your wall, in the morning, at night, in different rooms ... So choose wisely. I definitely think it was worth the $50 in samples to get the right colors instead of hating the color and repainting the whole space again. After much deliberation, we finally had a winner. 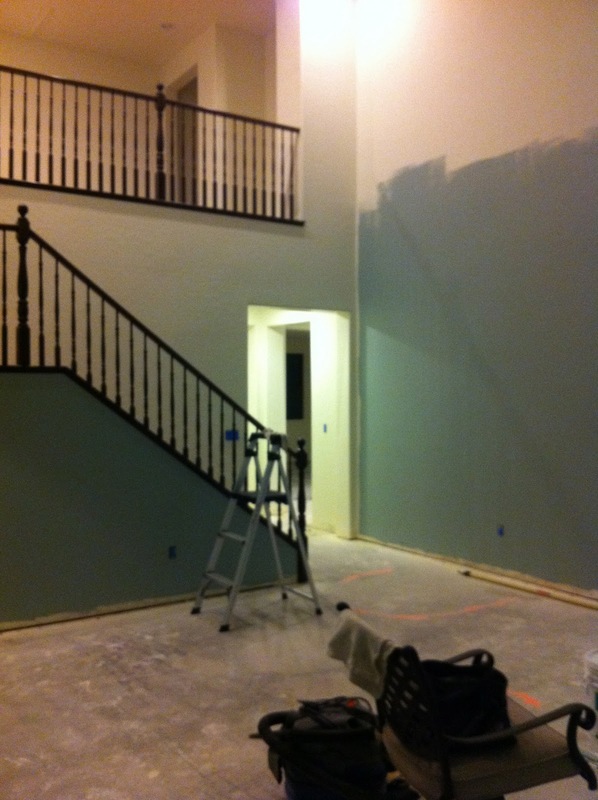 For the front rooms and hallways we decided on Behr Ultra Frozen Pond. Now to cover up the sample squares. This is what happened when I used the flat touch up paint the builder left us. The paint splattered everywhere and was full of globs that I had to peel off before they dried on my wall, but it got the job done. We found ginormous paint rollers at the hardware stores -- 18 inches long -- which made the painting go much faster. Just remember to be generous with the paint on your roller, roll in W's in a 3x3 square, and make sure you paint around your outlets instead of over them. Or you might shock yourself while cleaning the paint out. Just sayin'. We're so happy with the color! I didn't know you had a new blog?! Love your house! I love DIYing. The first time I EVER painted was when we moved into our house. 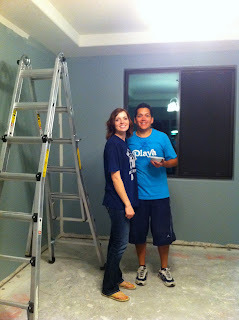 And after painting almost every single room I was done! i think you guys did the right thing . . . 15 samples . . . just to make sure it's right. It looks beautiful! Hope you're doing well! We'll be in Vegas for Christmas so we'll have to see you guys!